Here’s what’s happening in the world of television for Sunday, September 30. All times are Eastern. Bob’s Burgers (Fox, 8:30 p.m.): Sometimes a girl just needs to step into a breeches role in the pursuit of true love. Tina Belcher is one such girl. 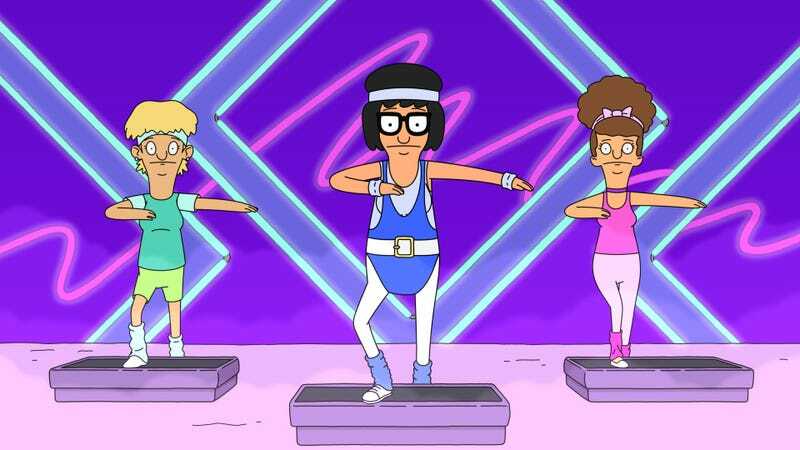 In Bob’s Burgers’ ninth season premiere—and 150th episode!—a heartsick Tina decides to go get her man by disguising herself as a boy and sneaking into the auditions for Boyz 4 Now. This is both a premiere and a milestone episode for the series, and the guest voice roster is unsurprisingly stacked, including Daveed Diggs (Hamilton, Blindspotting), and Andrew Rannells, Josh Gad, and Rory O’Malley, all three of whom picked up Tony nominations for The Book Of Mormon. We’ll bet Brianna Wellen a New Bacon-ings Burger that you’ll get at least one big “Hello!” in there somewhere. God Friended Me (CBS, 8:30 p.m.): Brandon Micheal Hall is great. This series, in which an atheist podcaster named Miles gets a friend request from “God” that changes the course of his life, seems destined for a CBS bingo card of some sort—the world moves in mysterious ways, in a story-of-the-week format! But Brandon Michael Hall is great, and in some ways, God Friended Me is more thoughtful than you might think, so if you’re looking for a little diversion fronted by a hell of an actor on the rise, you could do worse. It also stars Violett Beane (The Flash’s Jesse Quick) and Joe Morton (Papa Pope).